Dear Crissy and I have teamed up to offer our readers a special giveaway just in time for Valentine’s day! 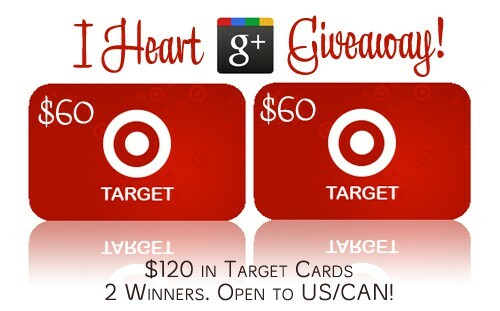 Two readers will each receive $60 Target Gift Card. Just love shopping at Target. Would love to win. Thanks for the giveaway and opportunity. Target has the best stuff, I would love to win the gift card. 8 Year old son, rugged and high energy. Gift Card to TARGET, couldn’t be any more appropriate than now. Love cross border shopping at Target, thanks for including Canadians in this fantastic giveaway for 2 lucky individuals. Google +’d. Completed all except Pinterest, not familiar with that yet – so did not attempt. IN BRIEF GENUINE THANKS/GIFT CARDS RULE.